I haven’t always been lucky enough to work in an entrepreneurial environment or being a start-up. I started my career after university in a telco in the UK and I always wanted to work in marketing. I thought marketing was the answer. I think I might have been confused that it was actually advertising at the time, but there wasn’t such good careers advice in those days. I joined a telco back in the day when it was a bit like the wild west. Telco was blowing up, and I was in charge of product marketing, and that involved training resellers on technical aspects of phone systems and voicemail - so very dry. But, what it did teach me was that I didn’t want to work in that environment. I was lucky enough to be relatively successful, and I moved up to London and started working in a bigger global organisation. Then the crash happened. The bubble burst and it was a fantastic opportunity because there was a lot of ‘fat’ in these organisations. A lot of duplicity in the teams. What that meant was that there were a lot of people who got laid off – which was a great opportunity to get a little bit of cash together. At the time, I was living with some Australians who were always telling me how fantastic Australia was, so I thought, “This is it! Fantastic!” So, being in a share house in London, having a great time, understanding what it was to try and work and party all the time. Then, this opportunity came up to take a small redundancy, which I did, and I went travelling. That was really the start of many journeys and experiences that led me to staying in Sydney. I’ve been in Australia for about 16 years now, eventually winding up at Marley Spoon. So, lots of hurdles and steps and interesting experiences and people along the way. I was very fortunate early on to meet a couple of influential people. I met a guy called Ian Gardiner, who runs Innovation Bay (who some of your listeners might be familiar with), and he is now at AWS (Amazon Web Services). He was running a start-up then called Viocorp in Sydney and I think I was actually employee number one - and nothing to do with their fantastic success, I may add. I just happened to meet him and understand what it was to work really hard on a project for years and years at a time. Essentially, there are no overnight success stories, or the common phrase is that there are 10 years behind every overnight success story. I took various roles and I spent a large amount of my time working for a business called Rockstar Games (who some people might have heard of), looking after the marketing and the brand for Australia and New Zealand for many years. I was looking after a program called Grand Theft Auto (amazing game) and Red Dead Redemption. Red Dead Redemption 2 is coming out soon, so I’m very excited to see that. That was an incredible experience. To have the opportunity to work on such a big brand and learn some valuable lessons about how to conduct brand marketing on a global scale. The attention to detail that you witness in these games was pervasive throughout the organisation. No stone was left unturned when it came to presenting the product and the brand. So, obviously, very exciting to work on such a large entertainment blockbuster product. I really enjoyed my time there. But, I always had an entrepreneurial itch. I really wanted to do something on my own, to have this ownership. I guess, reading Richard Branson’s books and seeing and following some of these great entrepreneurs is always something that piqued my interest. I left Rockstar and went searching for start-up opportunities. I had a few failed opportunities of my own. I set up a website with a friend of mine and a bunch of really talented young coders, called WhatcanIdo.com.au. We secured some good press for that. The idea was that it was really an entertainment marketplace where we would do listings – very simple in essence – and then we would give a percentage of the funds raised through these listings to charity. So, it was like, “What can I do to help my local community and my charity of choice?”, and, “What can I do?”, as in, “What activities are available to me this weekend?” It was a really clear idea and, to be honest with you, slightly ahead of its time, and we just completely failed to execute. We got bogged down in what the website looked like. Really ego-driven and too young. Just looking back, it was an amazing experience, but a wasted opportunity. I think a lot of entrepreneurs and people that work in start-ups will have many of these experiences under their belts, but that’s just the way it is. I set up another agency on my own where I tried to do some sort of digital planning, and I had to take another corporate job to pay the bills. I set up an agency with a friend doing digital solutions – so, apps, which we outsourced. A whole gamut of testing and trialling and seeing what would stick. Then, I was lucky enough to meet the guys at GoCatch, in Tank Stream Labs in Sydney. I went there as a marketing director for a while and it was my first experience of working for a start-up that wasn’t my own. It was fully-entrenched in the scene, in a co-working space, really pushing from a technology point of view, and up against a huge competitor (being Uber, of course). GoCatch is a ride-sharing app, and its start was focusing on the taxi business rather than the private car business – based out of Sydney. I guess the equivalent would be Lyft, potentially, in the US. The taxi industry and the regulations associated with that on a local government level are incredibly political. So, it was a very difficult business to crack into, for the guys at GoCatch. Again, nothing to do with me, but they’ve had some success after I left with their re-brand and their forging forward. It was a really interesting time. Particularly as it was the first real eye-opener I had into how data analytics, micro-transactions, and this plethora of data that is available would inform decisions around marketing. Be that, “Where are people travelling?”, “What’s the frequency of travel?” and, so on and so forth. It opened my eyes to what would later become the backbone of Marley Spoon, which is performance marketing around very clear data-orientated decisions. A very different style and approach to the marketing we did at Rockstar Games – which was more blockbuster movie style, backed up with lots of PR and video releases, essentially. Now, what we do is very granular data-orientated marketing. The Grand Theft Auto marketing was very exciting. People often didn’t believe that these trailers were rendered live out of the game, but they all were. It’s an amazing space, but now I enjoy it on my own time rather than on work time. For a marketing approach, it was very, very different. You had the luxury of working for a big brand, but also the expectation. Nothing is ever a given in the retail world. There is always pushing. I was sniffing around for an opportunity for a start-up since I’d been in Australia. I’d been continually building my personal network and reaching out and going to events. I was fortunate to meet a few guys who had previous experience and also the good fortune to exit their start-ups. I met a guy called Rolf Weber, who is my co-founder at Marley Spoon and he - with his partner at the time, Dan Jarosh, had built up a business called Brands Exclusive. They had exited that, and Rolf was approached by Fabian Siegel, who is the global CEO of Marley Spoon, and asked if he would like to build a team to launch the brand in Australia and I was approached by them. Very quickly, we went from conversations to shipping our first box in about 6-8 weeks. Initially, we sold to friends and family (as you would expect). It was a true MVP or Minimal Viable Product. I think we got the box from Officeworks and some of the food from local supermarkets. I delivered it myself in the car. The rest is – not history because we’ve only just started – but, it was certainly the start of a really exciting journey. The box that was shipped on day 1 was really the start of our intense learning experience of how to grow this business. Very exciting times. We started off with 3 or 4 people in the room. Now we are a significantly larger organisation. The way it works is, Marley Spoon is in 6 territories globally, but HQ is in Berlin. We are part of the Marley Spoon family. We share IP and technology platforms, which gave us a huge competitive advantage when launching in Australia. We already had technology in place. So, we are very much part of the global Marley Spoon family and brand. There are slight brand differences in different countries - we work with Martha Stewart in the US, for example. But, Australia is the only territory that was founded independently with local founders. There are four of us, including Olivia Andrews, who is our culinary director or chef. It was very important to have a founder who had a strong background in food. If you are going to be serious about this business, getting the food right is incredibly important. We look at the data around everything from the customer experience and food ratings and I’m very proud to say that the food in Australia rates very highly. It was very important that we had food that was locally relevant and designed for the Australian palette because food in Europe, or food in Berlin, or food in the US is different. Maybe you can have a ‘one-size-fits-all’ with your technology platform, but you certainly can’t do that with your evening meals, it just doesn’t work. So, that was critical. And, of course, you have local producers that you want to use, different ingredients and different seasonality. While we do share some recipes, we design (I would say) 90% of them locally. Around June 2016, we started the business and it was a very bootstrapped approach, from a production and marketing viewpoint. There are some things that you can’t short cut with food – food safety, obviously. Chilled logistics are a big part of our business. At the end of the day, with a software or video product, you can potentially MVP it to customers and ask them for beta feedback. “What are your thoughts on this new application?” “It’s a bit shonky.” “The design isn’t finished.” Or, “Forgive the glitchy UI (user interface).” You can’t do that with food. I can’t ask you to pay for food, send it to your house and say, “It’s spaghetti Bolognese, but we haven’t put the spaghetti in because it’s an MVP”. So, you have to get those details right really fast. When we started off, we had a fairly small operation. At its core, there are many different elements to the business. There’s a manufacturing business, then there’s a culinary procurement and operations business, then there’s a high-performance marketing operation. I look after the marketing, PR, customer care side of the business – which is essentially like the promise. Then, the other side of the business is delivery – which is, arguably, way more complicated. When you have all of these different perishable skews that need to be procured at the right price, at the right time, in season, in perfect condition, and then shipped to someone’s house that’s quite tricky. We started off with a business that was quite small and then grew at a pace that was sustainable without breaking operations. So, as aggressively as we could – acquiring new customers while still maintaining very high quality and also some key product differentiators to our competition. We always had choice, for example. Allowing people to choose between vegetarian and meat dishes. We were very cognisant of the fact that the consumer wanted to be able to choose what they wanted to eat. So, we allowed that right from the get-go, which, of course, adds a layer of complexity to the entire process, but very much worth it from a customer experience point of view. Food waste is such a hot topic, but really at the core of what we want to achieve. At Marley Spoon, we want to eliminate food waste as much as possible. So, what we’re doing is we are redefining the supply chain between you at home and the farmer or producer. The way we can do that is by using technology, so you can go in, you can see a months’ worth of food laid out. You can choose exactly what you want for those 4 weeks in advance. Then, because we have a subscription business that’s fully flexible, we know exactly what’s been ordered when. We have a limited skew count, so 120-150 skews, whereas, when you walk into a supermarket, they can have 25-30,000. They don’t know what you want when you walk in the doors. We know exactly what you want because you’ve told us. Our job is to present you with great, healthy, delicious options so there is always something for you to choose. That’s something that we’re getting really good at and that’s the future of the technology platform. That choice, and giving the customer what they want is really important, as I mentioned. And that, further down the line, allows us to only procure exactly what we want at the right time so there’s no food waste. So, when you cook at home, it’s amazing, you get there, and everything just goes in the bin and it’s just the washing up left. It’s a really nice experience. You don’t have to go down to the supermarket and find all these ingredients. We allow people to discover things and save money. We’ll always present you with exciting food that, maybe, you haven’t tried, but then, you don’t need to go and buy the whole bottle, we’ll just ship you exactly what you need. This is where the efficiencies and cost-savings come in. It’s amazing, in Australia, we currently waste around 4 million tonnes of food every year that goes into landfill, which is shocking when you think about it. To put that into context, that’s about 40,000 garbage trucks end to end. This is totally unnecessary, and a lot of this is due to inefficiencies in the supply chain because the incumbent providers of food don’t have the agility to forecast, so they have to carry all this stock and the wastage is really unacceptable. Of course, they’re working hard to change this, but we’ve had zero food waste from day 1. What we are doing is giving consumers the ability to participate in a different way of eating, cooking, and living their lives. We’re asking people to change the way they think about their weekly shop. Of course, this is going to change in the future as well, where we’ll see providers of other grocery items, like pantry staples, are coming into Amazon, for example, will render it unnecessary for you to go to the supermarket to buy your toothpaste and lightbulbs. And then, hopefully, you’ll be cooking with Marley Spoon for your weeknight dinners as well. So, really exciting and interesting times as well for how people are going to start shopping in this category. It’s very exciting from a consumer point of view. Personally, I’m very excited about it. I love the idea of getting a push notification that I’m about to run out of toothpaste and it just turning up at my house. And then, all of the Amazon Prime services - so there are a whole lot of exciting benefits from a customer perspective. From a business perspective, I think anything to help drive behavioural change in the way that people purchase goods and services is fantastic and if anyone can help do that, it’s Amazon with their infrastructure and deep pockets. There are, obviously, challenges with regard to logistics in Australia, which will be interesting. But, it is a very exciting time and I think it will provide great opportunities for businesses like Marley Spoon to work with consumers in a different way as they become more at ease with shopping in this way. It’s easy to forget that we are quite forward-thinking and early adopters of these types of services, but there is a massive part of the market that maybe haven’t tried buying their groceries online yet and this is a gateway for them. This is probably more of a personal one. It may sound a bit disingenuous, but, I think, being more selfish. By that I mean move faster towards your goal. Identify what it is that you want to do. In my case, run a start-up or being involved in entrepreneurship generally, and look for ways of doing that. I think it took me quite a long time to figure out and understand how easy it was to do that. I think you either need to either care less about what other people think about you – because, in fairness, the majority of the time, they’re not thinking about you – and I think you need to be bold and step in the right direction. Then, network, speak to people and get involved in the scene that you want to be involved with. I don’t think it was any mistake that when I started exploring opportunities within, say, Tank Stream Labs, that I met a bunch of other people that gave me the opportunity to end up co-founding Marley Spoon. So, my advice to people would be to move faster through the career path. Don’t stay in roles that aren’t serving you, and be a little bit more selfish about your direction. I’m not sure if this is a habit or a behaviour, but I think it’s very important – and with all these things it’s not a given that I’m like this all the time. I think people need to be aware of the things that you want to be doing, but something that I try to do is be consistently curious about things. It’s actually one of the values of Marley Spoon – to continually ask why about things. To dig deeper. So, I try and bring that into my business life and my personal life, and take a deep dive on anything. 10 minutes on the most inane thing that you stumble across online is just as exciting and valuable as reading a business book or checking out the Financial Times because it ignites interest in your mind. It gives you things to talk about. It can also provide some light relief. I try and educate myself in terms of business, health, wellness, and life skills generally, through being curious. I think how you choose to absorb this information is very important. You need to remove barriers to your curiosity. For me, podcasting is really exciting. It gives me the ability to consistently find new and interesting opinions to check out. So, I’m a big fan of the medium and have been for many years. I do a lot of travelling around. I do a lot of long-distance running, so I plug into a podcast and I can while away a couple of hours. I use Audible. It’s something I do, and I get a lot of benefit from - and I also enjoy them. It's free learning. There is so much variety of amazing content. You can kind of dive deep into someone of interest and you can follow your own rabbit hole down your own niche. I think as the industry matures it’s just really beneficial for people and your curiosity could be around start-ups or entrepreneurship business or it could be sports or comedy – there’s so much out there. Diving in and being curious is really important. The first book I want to recommend is probably a bit obvious, but it’s very important and I’ll explain why. 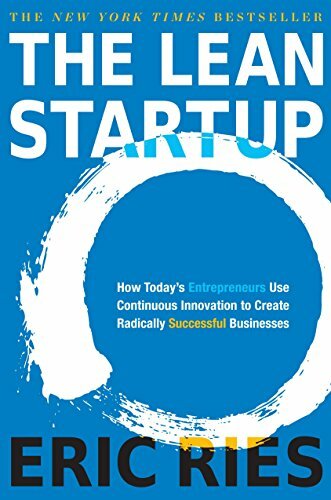 That book is called, ‘The Lean Start-Up’ by Eric Ries. A lot of people would have heard of this book, or read the blog, or, ideally read the book. The reason I think it’s important is that if you, for example, come from a corporate background, or you don’t really understand the mentality and the mindset of what is ‘lean’, what is ‘agile’, this book enables you to think in that way. It has some great case studies. It’s kind of the bible for people, I think, who want to work in a start-up. It’s well worth reading and, for me, it really laid out how easy it was to fail fast, learn, and adapt. These are skills that everyone talks about, but to actually live and breathe that skill-set on a daily basis is really important. That’s a great book and I would strongly suggest that everyone reads it. 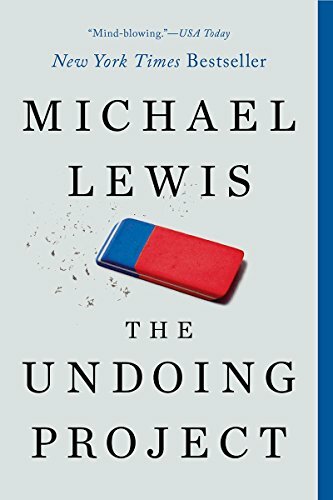 If I may, the second book that I think is really interesting – which I was given by our CEO, Fabian – is called, ‘The Undoing Project’. It’s a book by Michael Lewis. This is a really interesting story about making decisions, understanding cognitive bias, making judgement calls on unclear solutions. These are all things that you have to do on a daily basis when you work with big data, and it’s relevant to people that work in start-ups because you get very, very obsessed and very passionate about what you’re doing and very emotionally attached to the product. And, as everyone knows, that kind of level of attachment can lead you to make some poor decisions. All decisions in our organisations are made on data, not people’s opinions, so, have an opinion, but back it up with data and facts. This book is a really insightful look at understanding how to do that. Well worth a read! Richard Branson was always a bit of a poster boy for being an entrepreneur, but, some really salient advice – which we’ve touched on – is, “Do not be embarrassed by your failures. Learn from them and start again.” Of course, this is very easy to say, but learning from your failures requires many different elements or skill-sets. Recognising failure as a positive thing, removing your ego, and taking action. So, good advice and something that is really, really important if you’re looking to grow a business fast. The second one is by Ray Dallio, and it is in a similar vein. This is something I came across recently which I really liked, which is, “Pain plus reflection equals progress”. It’s another way of phrasing the previous statement, but pain or failure – whatever that may be – plus reflection (the ability to think clearly and concisely about what’s happened) gives you the ability to progress and move forward. I really rate Ray as a legend and I really enjoy that quote from him. With Marley Spoon, just go to marleyspoon.com.au or check us out on social media, so, Instagram or Facebook. You’ll get a really good visual flavour there for what we do before you may check out our food. If anyone wants to speak to me, you’ll find me quite easily on LinkedIn and just ping me a message. I’m always happy to have a chat.